I thought I’d share the free quilt pattern pdf from MODA for their ModaLove quilt. It’s super easy and really fun to make in a bunch of different sizes and colours. It’s a pretty good beginner quilt, so if you’re in the mood, give it a go. I made mine a little bigger than the charm square version. My blocks were 6″ instead of 5″ making them 5.5″ finished. 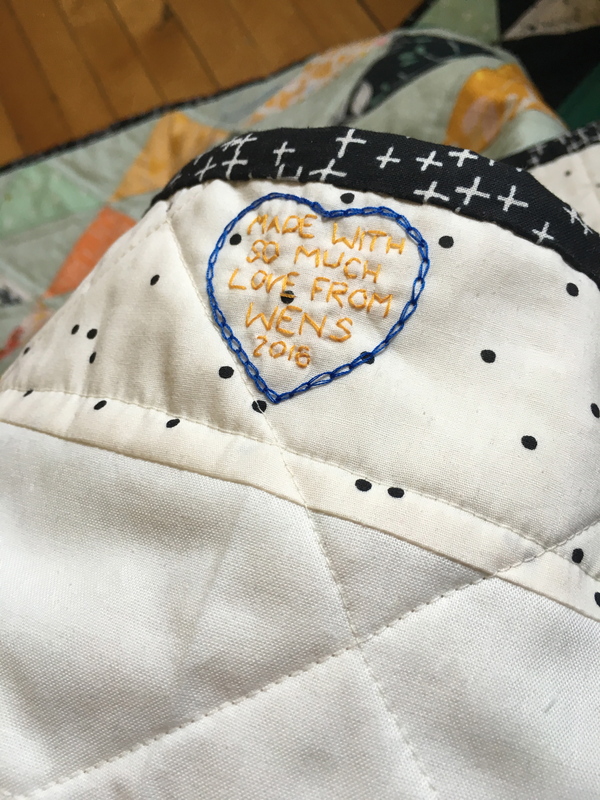 The whole quilt is 44″ square. Just quilting it now. And I’ve just washed, packed and shipped a little beauty that I can show you soon. It’s made for an extremely special baby, whose shower I can’t attend, but hopefully my quilt will wrap them in tons of love. 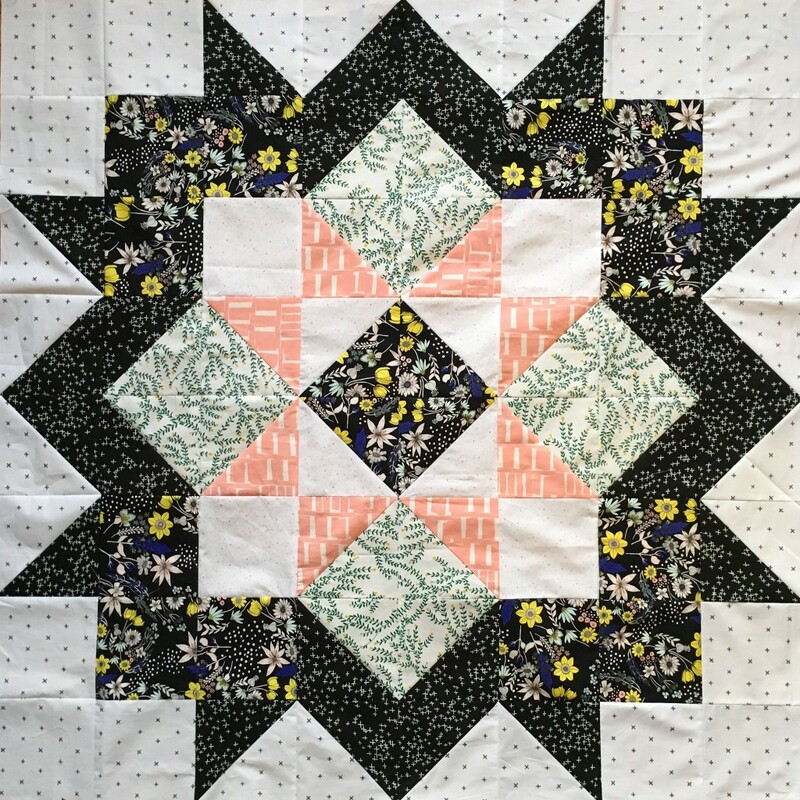 What great fabrics you used for this quilt!